When the service launches on Wednesday, there will be a limit of two simultaneous streams per account, so the service isn’t a good option for those who want to stream from more than two sources at once in the same household. Roku support will come in 2017, but there is no mention at all of support on Xbox One or PS4 in the works, which combined, has sold more devices than any other piece of hardware connected to the TV. So that’s a big missing piece. There is no 4K support, which is fine, that wasn’t expected, but AT&T still hasn’t said what the max bitrate the video is encoded for, so it’s hard to know what the quality is going to be. And if you are looking for a complete channel lineup, AT&T didn’t send one out with the press materials and as of now, hasn’t provided a list. I guess we’ll all see on Wednesday which channels come in which package, (there is no CBS or Showtime) but it’s odd they talked so much about how good the channel lineup is, but then didn’t provide any details. Also, where local affiliates are involved, many users will only have access to on-demand replays of primetime shows, unless you are in a major city where the network owns the local programming. HBO and Cinemax can be added for $5 each per month, which is a good price and shows that AT&T is clearly subsidising some of the cost. Pre-paying for 3 months in advance package will get you an Apple TV for free, and pre-paying for 1 month will get you a free Amazon Fire TV Stick with Alexa Voice Remote. AT&T needs to start somewhere with their new service, but for all the hype they have been giving it over the past nine months, the launch to the market seems half-baked. There is no channel lineup listed as of yet, no cloud DVR features, no Roku/Xbox/PS4/Smart TV support, no details on video quality, promotional pricing with no known end date, no premium sports, and no integration with NFL Sunday Ticket. And yet AT&T’s press release calls this a “Revolution”. If AT&T was looking to do something to make their service stand out when compared to competing services PlayStation Vue and Sling TV, they didn’t do it. 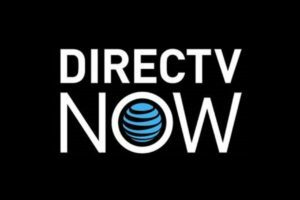 DirecTV Now feels more like a beta version that I’m sure will improve over time, but at what cost to the consumer is unknown.